Elishia Chun graduated from SPU in 2017 with a degree in educational ministry and youth ministry. During her time as a student, she was active in SPU’s John Perkins Center for Reconciliation, Leadership Training, and Community Development, where she was awarded the Barnabas Student Leadership Award her junior year, participated in various intramurals, multi-ethnic clubs, and was highly involved with Children’s Ministry at her church. She was also awarded the People of Promise award. She is currently working at Bethany Community Church as the children’s intern. Jacob Fong is a 2017 graduate of Seattle Pacific, where he majored in business administration, with a double concentration in marketing and information systems. 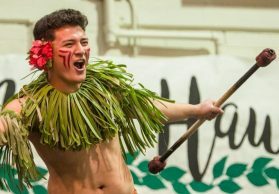 While at SPU, he was treasurer of Hawai’i club, a member of Beta Gamma Sigma academic honor society for business students, and active in intramural sports (where he won a championship every year he attended SPU). In his free time, Jacob enjoys hiking, following and playing soccer, and playing Super Smash Bros.